What happened to the Saturn, N64, Xbox and GameCube? Sony has always said that it was in it for the long game and that the PS3, just as with the PS2, will have a minimum ten-year lifecycle, with full support from the company throughout that cycle. Hirai told Gamesindustry.biz in an E3 interview that Sony views this generation as a marathon, not a sprint, and that it's still way to soon to make a call on who might 'win' the console war, reminding us that PS3 is only two years in to its ten-year cycle. 'I know some people have been talking about who will be number one in this generation, and what have you, but before we get into that question, what about the lifecycle management?' said Hirai. Whither Saturn? Where's the N64? Warming to his theme, Hirai added that it was a similar situation with the original PlayStation. 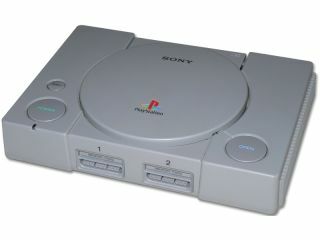 'Same thing with the original PlayStation. At some point we looked around and asked what happened to the Saturn? Where's the N64? So if we're doing that, let's compare apples to apples, and for me, because we're on a ten-year lifecycle, unless we're talking ten years it doesn't really make that much sense,' said Hirai. 'It's really a matter of looking back after ten years minimum and asking what you've actually accomplished in terms of the installed base, in terms of the business that you generated for the internal first party studios, in terms of the business you've generated for the third party studios, in terms of the business you've generated for the retailers.